Matt Cashore signs Celebrating Notre Dame. ; Ralph McInerny signs Irish Alibi. ; Cappy Gagnon reads from Notre Dame Baseball Greats. ; Sean Callahan reads from Shannon and the World's Tallest Leprechaun. Ralph McInerny is the author of over thirty books, including the popular Father Dowling mystery series, and has taught for over forty years at the University of Notre Dame, where he was the director of the Jacques Maritain Center. He has been awarded the Bouchercon Lifetime Achievement Award, and is a member of the President's Committee on the Arts and Humanities. He lived in South Bend, Indiana. Ralph M. McInerny is currently considered a "single author." If one or more works are by a distinct, homonymous authors, go ahead and split the author. 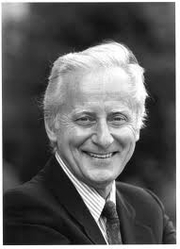 Ralph M. McInerny is composed of 15 names. You can examine and separate out names.